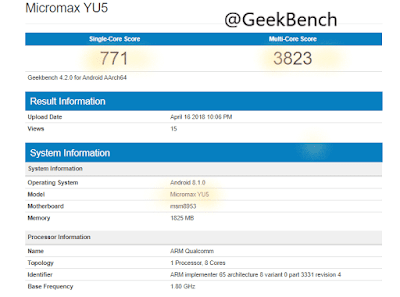 The Micromax smartphone hits the Geekbench website with a model name Micromax YU5. The device comes with medium budget specifications and is expected to have a decent price tag. The smartphone runs on Android Oreo 8.1 and is expected to be powered by a 3,000mAh battery which gives a day backup. The device comes with a 1.80 GHz Cortex-A53 Snapdragon 625 processor. 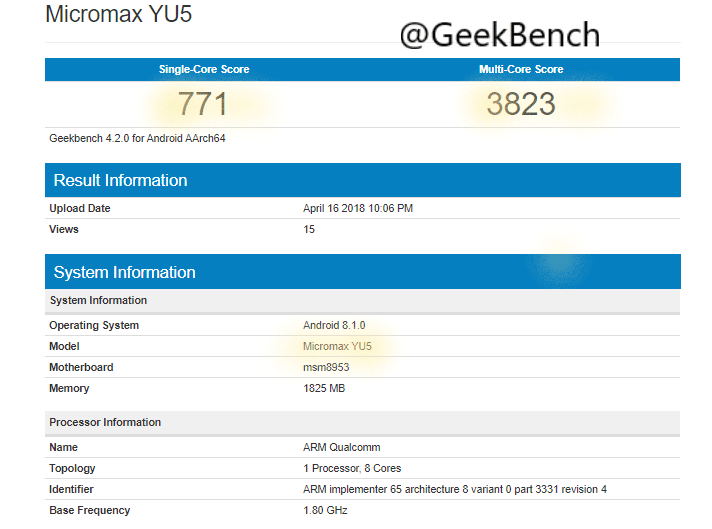 The Micromax YU5 sports with 2GB of RAM and is expected to have 32GB of internal memory further can be expanded using a MicroSD Card support. For the remaining specs, we have to wait for the official launch.